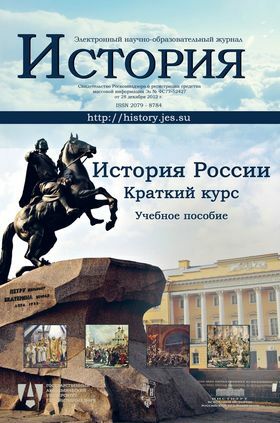 This studying manual, which is one of the modules of the Innovation educational complex “History”, was prepared by highly qualified researchers of the Institute of Russian History. The book reveals the true picture of the greatest years of Russian history. The authors introduce the various research approaches and assessments that reflect modern scientific concepts. The material benefits may be included in the curriculum as an elective course as well as used in the study of history on a core curriculum. Short course is dedicated to Russian history from the earliest times to the present day. The authors introduce the reader to different research approaches and assessments of the most controversial pages of Russia's history in the context of modern scientific knowledge. The manual is intended for use in high school, on the non-historical faculties of universities, as well as for anyone interested in the history of Russia. Social Movement in Russia of the 19th Century: Revolutionaries, Liberals, "Guardians"